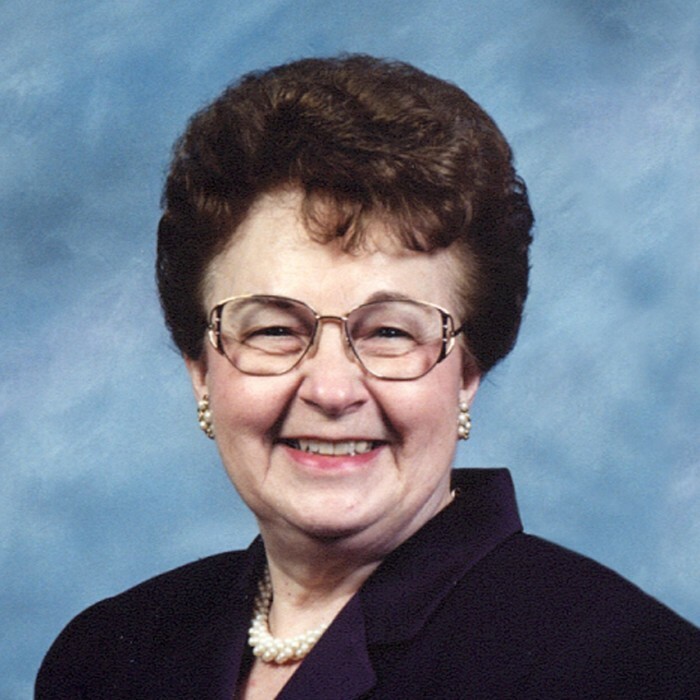 Obituary for Rebecca Lee (Moler) Stevens | Donald V. Borgwardt Funeral Home, P.A. Rebecca (Becky) was born on October 24, 1926 in Charles Town, West Virginia, and grew up in nearby Bakerton. Following graduation from Shepherdstown High School, she moved to Washington, D.C. There, after working for the India Supply Mission during WWII, she met her future husband, Douglas W. Stevens, who preceded her in death in 2014. They raised their two children, Doug Jr. and Debbie, in Maryland, and enjoyed a loving marriage lasting 68 years. For almost 40 years she worked for The Bank of Commerce, which became National Savings and Trust, which became SunTrust Bank. After beginning her career as a teller, she retired in 1987 in the position of Vice President. When she wasn't working, she loved being at home. Her favorite pastimes were traveling with Doug, cooking holiday meals, and spending time with family. She was the loving mother of Douglas W. Stevens Jr. (Penny), and Debra L. Measday (Alex), grandmother of Kimberly L. Stevens (Angel) and Douglas W. Stevens III, Deanna L. Measday and Alexander H. Measday, and great-grandmother of Finley Marie, Caralina Grace, and Abbygail Ann. Rebecca is also survived by her cousin and friend of almost 90 years, Nancy Lou Morgan, as well as Nancy Lou's daughter Heather Lou McIntyre (Bill) and her family. We feel very lucky to have had her in our lives for so long, and to have so many wonderful, loving memories.